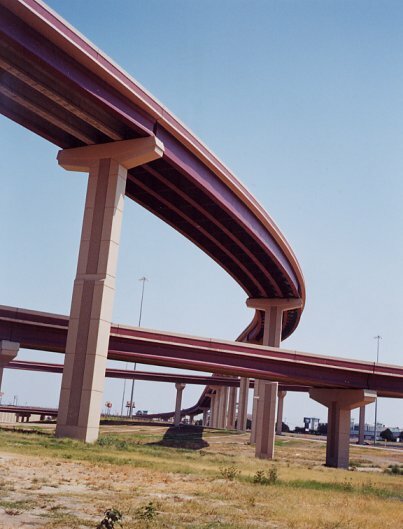 About 3 miles of the 161 freeway north of 183 was completed in the early 1990's. In July 2000, four direct connectors where completed at the 183 interchange. 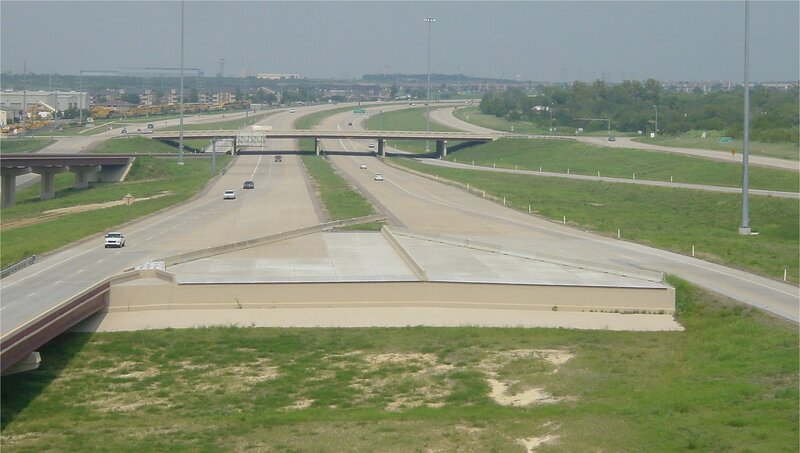 In late 2001 or early 2001, the 161 tollway main lanes will be opened from the current freeway terminus to IH-635. A. Looking north at the connection ramps at the 183 interchange. 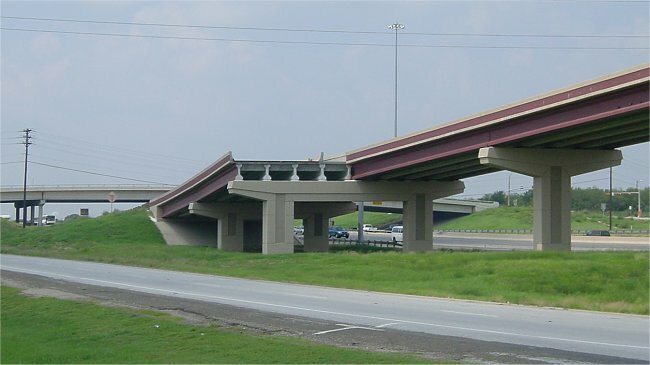 These ramps were completed in 2000. The future southward extension of the 161 main lanes will pass through the point from which the photo was taken. Photo taken 16-September-2001. B. This stub-out will connect to the southward extension of 161. Photo taken 16-September-2001. C. Looking west at the connection ramps along the westbound 183 feeder. Photo taken 16-September-2001. D. The connector ramp from southbound 161 to eastbound 183. Photo taken September 2000. E. Looking north along the 161 corridor from one of the connection ramps. The wide right-of-way width can be seen well from this perspective. Photo taken 16-September-2001. F. The 161 main lanes about a mile north of 183. Only 4 main lanes exist at this time. In some sections, additional pavement is available for two more main lanes. Photo taken 16-September-2001.